To get your fair all Cash offer, simply fill out the form or scroll down to find out more about how we buy houses. Need To Sell Your Battle Ground House Fast? We buy Washington houses in ANY CONDITION. There are no commissions or fees and no obligation whatsoever. Start below by giving us a bit of information about your property to get a cash offer in 24 hours or call 360-667-5424. We understand that life happens and sometimes you just need to sell your Battle Ground house fast. Whether your going thought financial hardship or moving for new career opportunities we can help. We can close in as little as 5 days. We are not a real estate brokerage and don’t charge fees or commissions to purchase your Battle Ground house. We take care of all the paperwork, as well as all the fees associated with selling your house. All you’ll need to do is come to closing ready to sign. We Buy Houses in Battle Ground For Cash whether they need repairs or not. Do you own a home in Battle Ground, WA that you have been considering selling? Perhaps you have fallen behind on your mortgage payments and the threat of foreclosure is looming. Or perhaps you recently had a change in your work or family life that means its time to look for a new place and you just need to move quickly. In some other cases, owners may have inherited or held onto a second house that simply is too much work to keep up with. Whatever your situation might be, if you own a home in Battle Ground, Washington and need to sell it faster than the traditional route allows, you should give Summit Development a call at our Battle Ground office at 360-667-5424 today. At Summit, we understand that the best-laid plans can go awry. That’s why we work with homeowners in Battle Ground by offering a fair price in cash up front. Then we put our team to work restoring and beautifying the houses we buy to improve the value of all property in Battle Ground. We’ve been working in Battle Ground, Vancouver, and the Tri-Cities for several years and are committed to building a strong reputation for our work with homeowners in Washington. Just give our team a call at 360-667-5424 today and we can get started. When you give our Battle Ground office a call about the house you’d like to sell, our friendly and experienced team gets to work immediately. We’ll research your property and be able to let you know in as quickly as 48 hours whether or not we are prepared to make an offer on your Battle Ground house. One thing people often worry about is the fact that their house isn’t in the best condition. We understand that completely and expect that some work will be needed to restore the home to its full potential. When we are evaluating your home, we don’t care about its current condition. Instead, we’re evaluating it’s potential, asking what it would be worth at top dollar value. After that, we look at all the costs needed to make this happen and if the numbers work, we make an offer. We Buy Houses in Battle Ground WA! Sell Your House Fast And Close In As Little As 5 Days! Looking to get cash for your house in Battle Ground fast? One of the best options you have is to go ahead and give Summit Development a call. One key difference when selling to Summit Development is that we buy the houses ourselves. That means there is no third party that we need to get approval from. Furthermore, we fund our deals, so we don’t have to wait for bank approval either. When Summit makes an offer, it is firm. We have decided we are interested and we are ready to make a move. The money can be wired to your account in as little as five days. You can even choose the closing date. The benefits of selling to Summit don’t just stop there, however. We buy houses as-is. That means you don’t have to clean, repair, upgrade, paint, fix, or do a thing. When we evaluate a house, we are only looking at its potential. There is nothing that could be an issue with the condition of the house that would prevent us from making you an offer in less than 48 hours and closing in just five days. There really is nothing to do to get ready to call. You just need to call, so pick up the phone and call our Battle Ground, Washington office at 360-667-5424 or take a moment to fill out the form you’ll find right here on this website and we can get going right now. Don’t forget, you are never under any obligation to accept the offer we make so there is nothing to lose, give Summit Development a call now. 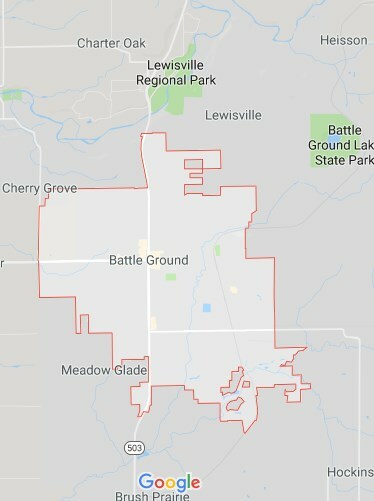 Do you need to sell your house in Battle Ground WA? It may seem a bit bewildering when you take to the internet looking for someone to help you “Sell my house fast in Battle Ground for cash.” The sheer number of options can sometimes be overwhelming. Let’s break it down to make a bit more sense of it all. Basically, no matter how it is presented, you have three basic options when selling your house in Battle Ground, Washington. These are FSBO (For Sale By Owner), listing with an agent, and selling for cash to someone like Summit Development. Let’s look at each. First, if you want to sell your house as an FSBO, you stand to save a lot of costs on working with an agent and listing your house on the MLS. 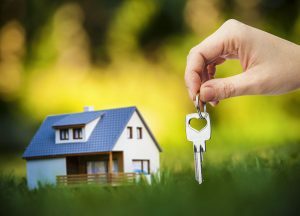 A big downside to this, however, is that you have far limited exposure and sometimes you can’t move your house in a timely manner simply because you cannot get connected to possibly interested buyers. Ultimately, this can be one of the longer routes available to you. Listing your house on the MLS with an agent is the best option for getting the most you can for your house in Battle Ground. But it also takes the greatest investment on your part, in both money and time. Coupled with this is the uncertainty that all this investment will pan out. You never really know how much you will really get until it shakes out and even then, there are fees and costs and the agent’s commission which will come out of your earnings. If you aren’t prepared or don’t have the time for this option, it is likely best to avoid it. Any time spent on a real estate agent, including researching and trying to find a reputable one who actually has the ability to help you get top dollar. Any and all work and money spent repairing and cleaning up the property as well as continually showing it to strangers and cleaning up after. Any fees associated with listing and selling on the MLS, which includes the agent’s pricey commission. Any time wasted negotiating or waiting on offers that never come through as well as on the one that eventually does come through. All the fees, taxes, and other bills that you continue to have to pay while the house is on the market. All the pages of paperwork you’ll need to get through at each stage of the process before you ever even see a dime of your money. The chance that a perfect deal falls short because the bank denies the buyer’s loan application. A common first-time homeowner mistake is to think that you’ll be able to get what your home is “worth” when it comes time to sell. The reality is that there are all kinds of factors about your local and regional housing markets as well as your neighborhood that determine what you can get out of your house and you can control none of these. Simply put, in times where more houses are on the market, the amount you can get goes down no matter what you do. Consider things from a balance of how much time you want to spend, how long you can stand to wait, and what you really need to be doing with your life instead of focusing on this property. If you have the time and need top dollar, the MLS is your best bet. If you don’t, selling to Summit Development can be a solid option. You’ll get a fair price and get the house off of your hands as quickly as possible – which has a number of benefits in and of itself for many people looking to sell quickly. Here’s how it works: you receive a no-obligation offer from Summit Development within 48 hours of requesting one on our website or by calling our office in Battle Ground at 360-667-5424. At that point, it’s up to you to accept the offer or not. There is no obligation. We buy houses fast, whether they need repairs or not. Did you know that you can sell your house and have a check in your hand within as little as 9 days? Are you here because you need to or would just prefer to sell your Battle Ground house fast? Just take a few minutes to fill out the form right here on this site or to call our office in Battle Ground, WA at 360-667-5424 and you are set. We will take your information and process your request confidentially. There is no chance anyone can find out that you are considering selling. Then we get to work analyzing the property and get back with an answer and an offer in less than 48 hours. Once our team has completed its evaluation, we will want to look at the property in person. This is a one-time visit and will likely take around 15-30 minutes total. No cleaning or fixing or repairing of any kind is required. This is as easy as can be. We’re just looking at the potential of the home, not its current state. In most cases, we make an offer on the spot after visiting a house and will come prepared to do so. We’ll also be able to answer any and all questions you have at that time. In the event you do accept our offer on the spot, we’ll even be able to have you sign the purchase agreement and start talking about getting you the money wired to your account. Your Money Will be Deposited in Your Bank Account. Once the closing process has been completed with the title company, the title company will directly wire the agreed upon amount in full to your account or cut you a check.